It have taken me a long time, too long, but today I received it! When I took my silver medal for about 1 year ago I made 3 662 takes, since that day I have managed around 6 000 takes so I would really say that I have kept my promise to calm myself down. Another “youngling” named Simpson had already passed me. I had my eyes fixed on ABECE and didn’t realize that Simpson had a higher pace. 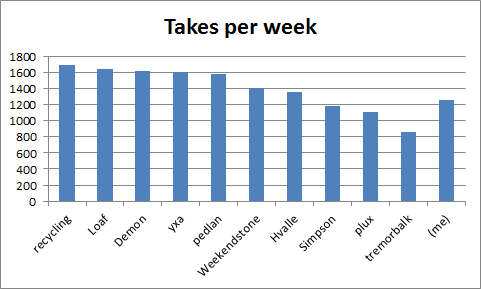 I met ABECE last week and he then informed me about Simpsons progress, at that point I had 400 takes to go and he had 10. 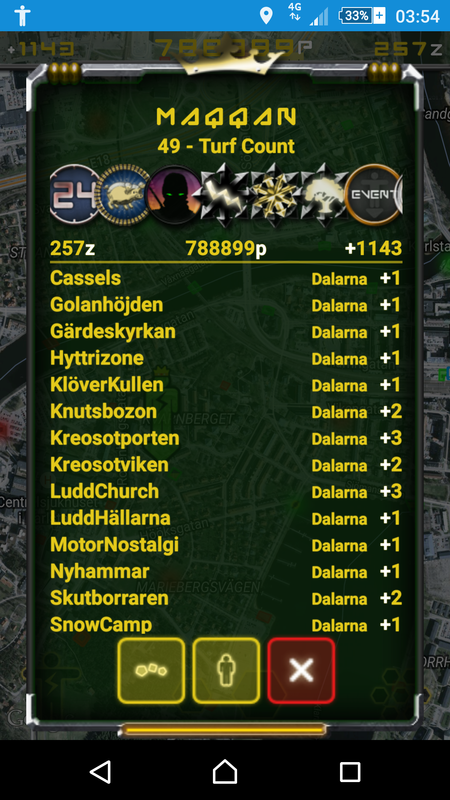 Too bad but now I have accepted that I’m not the worst maniac in Värmland and in a few rounds I belive that ABECE also will get pass me in the total points list, he is about 300 000 points behind me today. Then I can put the most of my focus on the Crew work and other turf related activities. Also I discovered a smaller bug in the Supporter application 0.9.9.3. If the message would had explained that I had received THE Medal instead of the medal I would have been even more satisfied. I noticed a time ago that the order of my medals was rearranged from one day to another, first I thought it was annoying because I wanted my silver medals to be seen in the toplist but now when there are medals on top of them it doesn’t matter. A few days ago the medal order changed again to the most logical order, chronological. For fun I took some screenshots cause I realized that they would soon change again, and today the order is back to the “other” order once again. As you can see it seems as a page break was included 2014-03-05 when I took the broadcast expandator. I have never seen a third order, it is always these two that is shuffling so there must be something that have decided that this is the order from time to time. 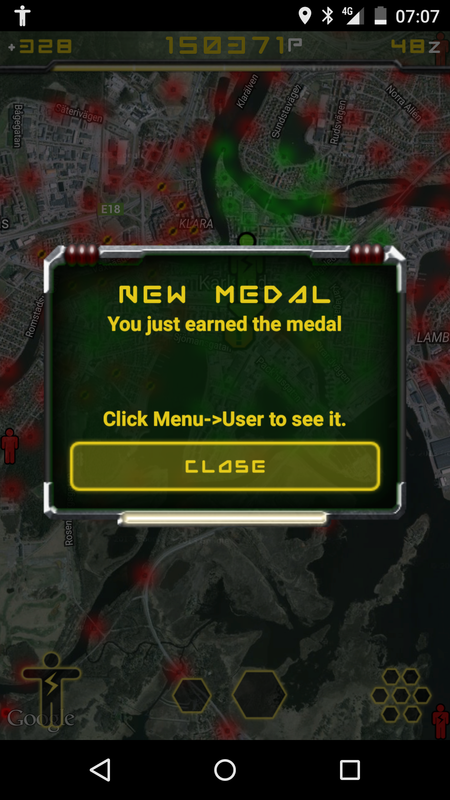 And when the “other” order is current the new medals I receive is placed beneath my greed-200 medal. The first time my medals was placed in this order was after I took the bonanza silver medal so all the medals that I have received after that have been placed beneath the greed-200 and hasn’t been put furthest to the right. Most of the time the “other” order is current so the dawn ninja is always showing in the toplist even if I receive new medals. Anyone else who has experienced this at their profile? There it is! Finaly I’m the first turfer ever with all the expandator medals. I have had it as a secret goal for some time but last month turf24.se discovered that I was close and from that point everyone knew it, typically. Anyway, today I claimed the last medal Wiki Expandator after making over 500 small and large edits on the Turfwiki and the Turfcrew was fast to respond. So what happens now? Time to rest? No, no, time to focus on the event planning for next year! If you are interested in visiting Karlstad you can book the 18th of april 2015 right away, more information to come. New round, let’s see what have happened in the toplist of Värmland. Simpson had a great round when he almost reached the bronze medal but unfortunately Jonac from Västerås was to strong. Nothing to be sorry about as he instead claim a spot in the total points list of Värmland. Fluffen9s time on the list was short as he couldn’t handle Simpsons greed for points and lost his place on the list after just one week in the glory but I have a feeling that we will soon be seeing him again. 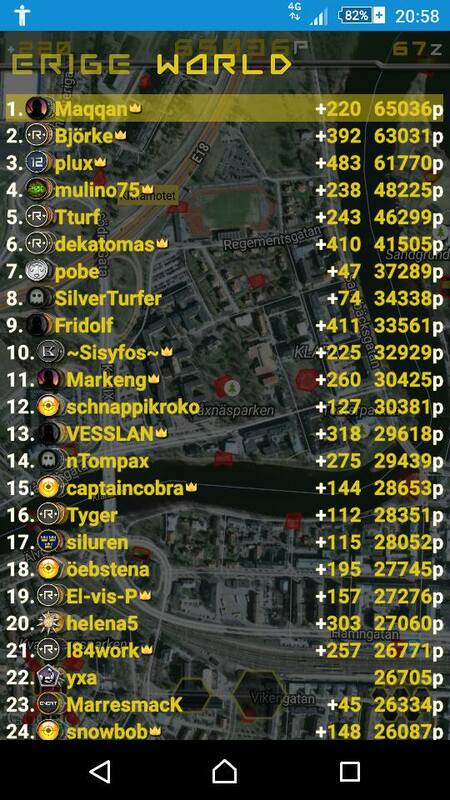 Jomii with another great round keep on climbing the list and passes both the veterans xMatte and Miha who have turned more and more inactive lately, hopefully this will trigger there turfing spirit and they will fight back. The question is where we find Jomii for the next round based on his flying start? 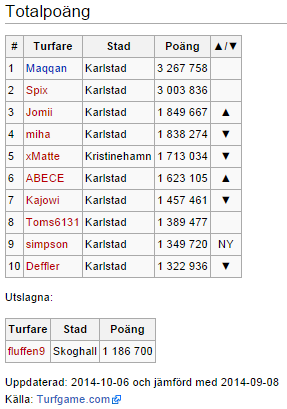 Also ABECE keeps on climbing the list with continuously good scores, you can always find him in the toplist in Värmland. 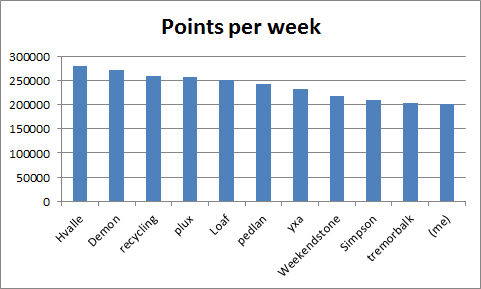 Kajowi and Deffler keeps on falling, question is if we will see them on the list at all after next round? Kajowi have been busy supporting Malmö in some other sport called football, hopefully he will find his way back to Turf soon. Deffler seems to be running in a lot of places but without taking zones, I wonder how he does it, time for a new phone? 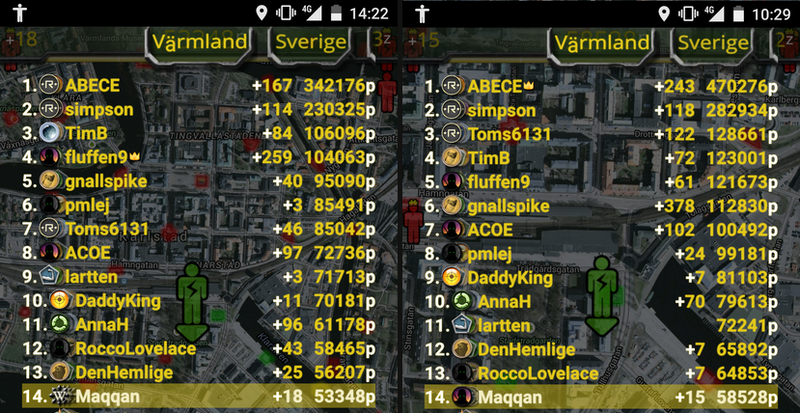 Spix has finally passed the 3 million limit as second player in Värmland after a couple of rounds just below, congratulations!